Okay, political rants are over. Finally, the long anticipated (not!) prediction of who will be our nation's 44th President! The way I see it... if you're conservative, you vote Republican. If you're liberal, you vote Democrat. If you want to throw away your vote, regardless of how well-intentioned, you can vote Libertarian, Independent, or Other. That leaves what are called "uncommitted" voters. I'm not sure what that means, exactly. They're said to be "in the middle," but whether that means in the middle from a values standpoint or in the middle of watching a football game is unclear. There are a lot of possibilities within that group. 1) The Ignorant - they just don't know what matters to them, so they vote with the leader of the latest poll. "Yeah, man, I've always picked the winner!" 2) The greedy - who wait and see who promises the most freebies. "I got mine from Bill!" 3) The clueless - who register to vote, and, darn! Voting would interfere with my Soaps. 4) The fair-minded - those that want to hear what the candidates say, prioritizing their own thoughts and needs against the values of those running for office, while also weighing the National and International implications of each candidate. Sure I'm cynical, but I'm also honest enough to realize there are probably other groups. But I'm fairly certain most of the uncommitted fall into Category 4. I'm also fairly certain that the fair-minded don't actually watch debates, though they'll listen 15-30 seconds on the radio for the sound bites. So how, then, does this fairly sizable group actually determine who should receive their vote? It's an important question, because they ultimately determine the election results - the Dems and Reps canceling each other out. My grand(!) theory is that "the uncommitted" vote for the person they would most like to have over for dinner. Now, to refine that highly complex reasoning to the lowest common denominator, I need to be clear. This isn't a "Sunday best" attire dinner. Nosirree, that would be quite awkward. We're talking a smoky, outdoor get together with paper plates, potato salad, baked beans, and a nice cool one (or two)... where you can really sit down and talk. Got it? Let's see how this works against recent elections. Who do you want to invite over? 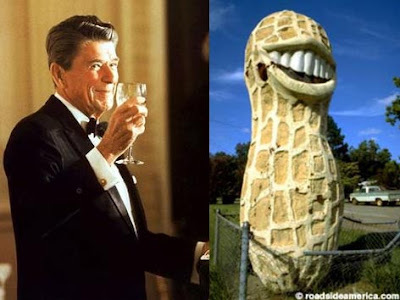 The Communicator vs. the Peanut. Jimmy Carter may be one of the better ex-Presidents, but most will go (and did) for Hollywood. Do I even have to post a picture of Reagan and Walter Mondale? Who? Reagan in a no-brainer. ... but I can't resist Dukakis in the tank. Voters did. 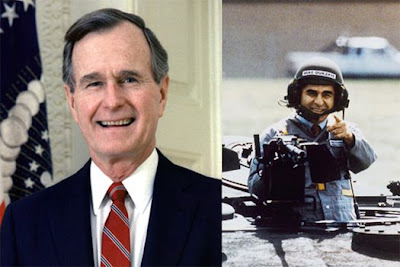 This wasn't necessarily an indication of wanting Bush to share a brew in the backyard as much as keeping Dukakis far from it. You gotta have music at the bar-be-que! Dan Qualye aside, Bush didn't stand a chance. And Bill will drink a beer, too. 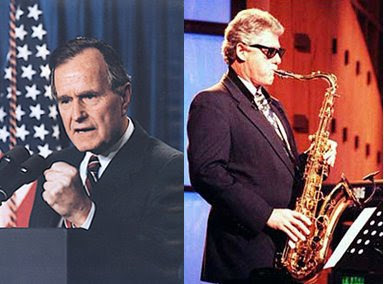 Which brings us to Saxman vs. Bob Dole. Sorry, Bob. You're not invited. And I don't need a picture to emphasize the point. This is a tough one. It might be said that neither is invited to your party, or that both are. It was close. But, given that this election was held before "the man who invented the internet" developed a personality, the ranch man from Texas wins out. It's a Barbeque, remember? Senator Kerry, thank you for your time. Now please return to your formal dining room; you're not welcome here, you faker. This one is a pretty tough case, actually. McCain has all the war stories, which are welcome fare at a cook-out. But then, we have to ask ourselves what we favor in a 21st century backyard party. 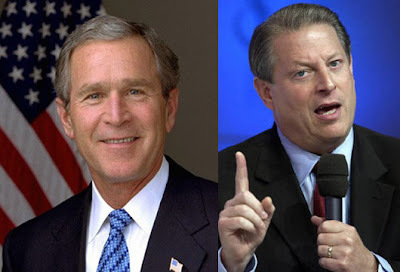 President Bush's vocabulary of one syllable words has worn the party thin, and Senator Obama is Mr. Smoothie. 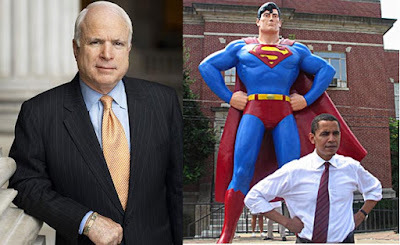 In deference to the needs of our guests at the party, perhaps we can miss out on McCain's tired old stories. Obama just sounds so good! I never suggested this theory reflected the highest aspirations of our electoral process. Sorry, but our party needs some life, so let's throw him the invite and our deliberating is (just that quickly) done! 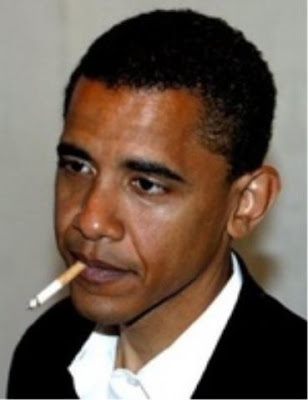 Ladies and Gentlemen, your 44th President of the United States! I did say it would be a smoky party.